Looking for a good New Year’s resolution? 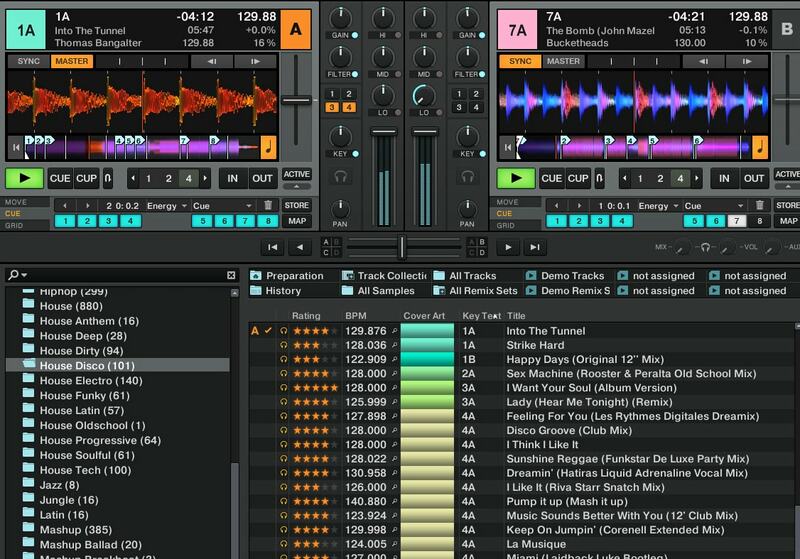 How about adding a new level of organization to your DJ music collection; using color coding. In today’s article, we’ve rounded up a few great ways to use track color coding to your advantage when prepping your library. Every single modern DJ platform now has track-based color coding – from CDJs to Serato DJ, and (just recently), Traktor Pro. Serato DJ probably has the best implementation – they also have color-codable cues and loops, and when you drop a color-coded track onto a deck, the platter changes colors to match the code. Organize tracks in a way that will help you remember things better. Create a system specifically for you and your music - not for someone else's collection. Color coding is great for picking out secondary groups within larger collections of objects. Your brain is able to quickly pick out colors, and it doesn’t involve reading any information. You already have crates or playlists – so in general, it doesn’t make much sense to use colors for concepts like “play these songs for tonight’s gig” or “these are techno songs I bought this month”. You also have to consider what your DJ software will already make apparent in the interface. For instance, you probably won’t want to use a color for marking a track after you’ve already played it in a night – every DJ software already does this. When practicing, you’ll often find great combinations of tracks that work really well together. This might not be at all obvious from their name, key, and BPM information – so instead, use color to tag the tracks and have them stand out. Worth noting, in Rekordbox DJ, there’s a better way to do this: you can mark two tracks as “Matching Tracks”, and then they will show up in the “Related Tracks” filter in the software. You could also use an energy detection algorithm like Mixed In Key and use the results from that to add color labels. But be warned, anything that becomes automated is far less likely to be something that helps you remember. 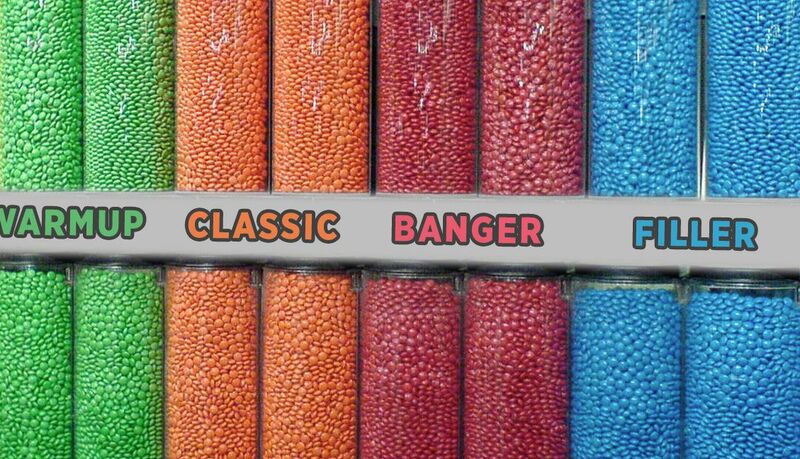 If you mark every track that you know fills the dance floor with a Red color (for “red hot bangers!”), that’s far more valuable than marking hundreds of tracks at the same time based on what an algorithm tells you. Are you a DJ who does a lot of routines, sampling, and scratching? Even if you have all your routines well-ordered in playlists, it makes a lot of sense to color code a routine. Put all the tracks that you use in one segment as the same color. This helps divide up individual routine segments if you’re pulling from a larger playlist. Ever played an explicit track and realized that maybe it wasn’t the right time or place for it? This tip is for every mobile DJ that plays family friendly gigs or is hired out by schools / parents for various events. If you have all of your explicit tracks marked as one color (red) and clean versions marked as another (green), it makes it very easy to verify, at a glance, that you’re playing the right version. Adding “(Explicit)” to the title sometimes works, but that’s more information in the track field. Try using colors instead. A great thing about color is that it can be easily changed during a gig as you notice things. For that reason, many DJs will use it to mark tracks that they want to remove entirely from their collection. Download a crappy version of a song, or hate a remix and never want to play it again? Mark that track with a distinct color (black or white might work well). Then, when you do your regular library prep/maintenance, select all songs of that color and delete them. Done! Some DJ software shows colors with keys already – but often they’re preselected by the program. If you want to set your own colors for keys, it might be beneficial to you to quickly see what songs mix well. The Camelot/Open key notation already does a pretty good job of being a quick-to-see piece of metadata, so thus our “maybe” label on this tip. We did want to point out a very clever alternative that DJTT forum member bascurtiz made. Traktor only shows color for key when you sort by it, so instead, he’s using album/cover art for keys. This also means that the color shows up in the deck header (see screenshot above) – making it a lot more like Serato’s colorization. Read the post here and download his custom cover art labels. Do you use colors in a different way that what we’ve outlined here? Share your unique system in the comments below.